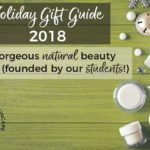 You want to make your own natural products, right? Products that are clean, natural and free from harmful chemicals. 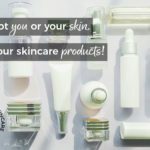 Products that care for yourself and your family. Products that are safe. Oh course you do. That’s why you’re here. So it seems crazy that by making your own skincare products you could actually be making and using UNSAFE and potentially HARMFUL products. If you rely on books, blogs, Facebook, YouTube and Pinterest for your knowledge and recipes, there are a few problems. Books can quickly go out of date. For example there are some classic aromatherapy books which contain wonderful descriptions of essential oils and their uses. 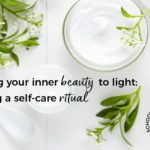 BUT usage guidelines since they were published have been drastically altered, meaning if you follow their guidance you’ll be using potentially harmful levels of oils. Blogs, Facebook, Pinterest and YouTube are often inaccurate. 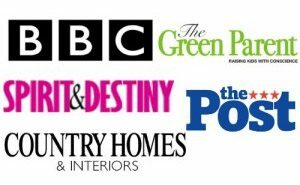 They are created by well-meaning and passionate people but often they are unqualified and pass on inaccurate information. This means you might be making things aren’t right, or worse, unsafe! We want to help put this right. With so much information out there, it is really confusing. So here is a handy guide. 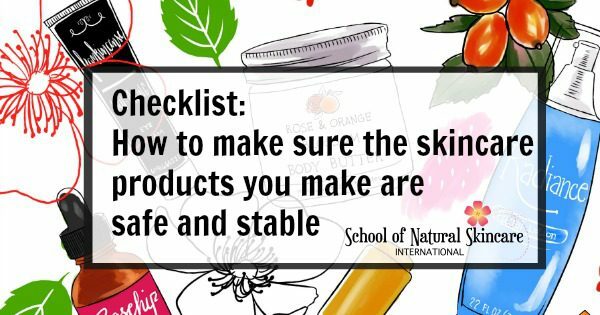 A checklist to help you create safe and stable products. Read it. Keep it with you when looking at or creating skincare recipes. Check the recipe against each of these points. We've created a handy, printable version of the checklist! 1. 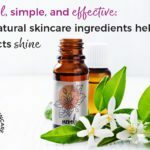 Check: what percentage of essential oil is being used? The problem: many books and recipes use levels of essential oils that are way too high and could cause severe reactions. Essential oils are highly concentrated substances and should only be used in low dilutions of usually 1-2% combined TOTAL in a product, although this could be lower for certain essential oils, eg rose, some product types, eg lip balms, or some people, eg babies/children. If you are making products to sell, your safety assessor can help you calculate the exact permitted percentages. The International Fragrance Association can also provide guidelines for specific oils and sensitizers. Essential oil measurements are often given in drops. Drops are not an accurate way to measure essential oils. The viscosity of oils vary and bottle dropper sizes vary. As a rough estimate for products you use at home, 20-25 drops = 1 gram (which would be 1% in a 100g product). A further problem is that when a recipe uses mixed measurements (eg cups, ounces and drops or milliliters, grams and drops) it is very difficult to see or work out what percentage of essential oil is being used. Quick rule: be wary of recipes given in mixed measurements. Recalculate essential oil amounts using 1-2% TOTAL as a general rule (0.5% for lip balms). Be aware that some oils, product types and people should use even lower amounts. 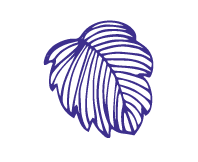 Quality suppliers of essential oils should be able to provide an IFRA (International Fragrance Association) certificate on request, which should tell you the maximum use levels of the oil in different product categories. Usually you would weigh all your ingredients and ensure you are using 1-2 grams of essential oil total in a product that weighs 100 grams. If you are making very small amounts of a product for use at home, you can use standard aromatherapy guidelines: 1% = 1 drop in 5ml carrier oil and 2% = 2 drops in 5ml carrier oil. Seek professional advice if in doubt. 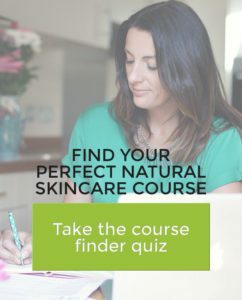 Our Diploma in Natural Skincare Formulation includes more information on choosing and using essential oils including how to calculate allergen levels and permissible quantities in different product types. 2. 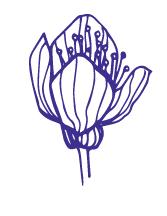 Check: do the essential oils carry any contraindications? The problem: many recipes you find online will not mention contraindications. A contraindication is an important safety consideration that states an essential oil should not be used under certain circumstances. Some essential oils should not be used where certain health conditions exist, eg pregnancy, high blood pressure, headaches and migraines. Some essential oils should not be used in situations where treatment for certain medical conditions is taking place or where certain medication has been prescribed. There are essential oils that should not be used on very young children, the very weak, elderly or frail. Quick rule: check if an essential oil has any contraindications prior to use. A good quality and up-to-date aromatherapy textbook is a good place to start. There are many good authors from which to choose and some examples are up-to-date books written by Robert Tisserand, Salvatore Battaglia, Penny Price and Jan Kusmirek. If in doubt, an aromatherapy association might also be able to help. 3. Check: if the product contains water, does it also contain a broad spectrum preservative? 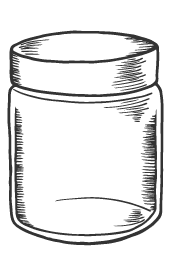 Problem: many people are misinformed or uninformed about the need for preservatives and there are misconceptions that natural products don’t need them. Preservatives play a very important function in products containing water: they kill microorganisms and waterborne bacteria and prevent the growth of bacteria, mold and yeast. These products need preservation to prevent microbial growth, spoiling of the cosmetic product and potential skin infections. If a product is anhydrous (it doesn’t contain water) and it won’t come into contact with water during use, then it can be made without a broad spectrum preservative. 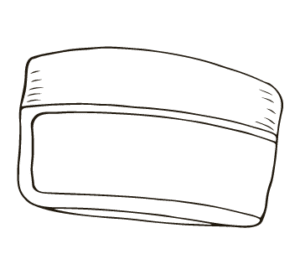 Examples are lip balms or anhydrous body butters made purely with butters, oils and waxes. There are so many recipes both in books and shared online, that don’t follow this basic safety principle. If you only remember one thing from this checklist make it this one. We share three natural, broad spectrum preservatives here. Quick rule: if a product contains water (including hydrosols, floral water and aloe vera juice, which all contain water), or will come into contact with water (eg a scrub used with wet fingers), a broad spectrum preservative is essential to help prevent microbes growing. Broad spectrum means it is effective against bacteria, mold and yeast. 4. Check: are antioxidants being confused with preservatives? Problem: many people confuse antioxidants and preservatives. They say that antioxidants such as Vitamin E, rosemary extract or grapefruit seed extract will preserve the product. This isn’t right. An antioxidant is useful to extend the shelf life of oils and butters by preventing them oxidizing and going rancid as quickly. BUT they will not act as broad spectrum preservatives to stop the growth of bacteria, yeast and mold. Quick rule: oil- and butter-based products that don’t contain water (anhydrous products) and that won’t come into contact with water don’t need preservatives and can include antioxidants to extend their shelf life. Products containing water need broad spectrum preservative and can include antioxidants in addition to, but not instead of, preservatives. 5. Check: are you storing and using the product correctly? The problem: yes, an anhydrous (waterless) product generally doesn’t need a preservative. BUT this is only true if it won’t come into contact with water. 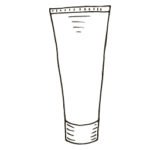 Recipes for anhydrous products that could come into contact with water (such as scrubs and cleansers) should advise to store away from water or use a preservative. Quick rule: keep anhydrous products away from water when storing and using them to avoid contamination. Use clean dry fingers to apply them or use a spatula. 6. Check: are oil and water being combined without an emulsifier or solubilizer? Problem: water and oil do not mix together. Pour oil and water into the same container and the oil will float on the top. You will find recipes online and in books that will try to mix oil soluble and water-soluble ingredients together and without an emulsifier or solubilizer. This won’t work: the two ingredients will separate. Some examples are a toner or spritzer (water-based products) that included a carrier oil or essential oil (oil soluble). Or an oil-based serum that includes a water soluble extract/vitamin such as Provitamin B5. In some instances vigorous shaking before each use to mix the ingredients is possible, but ultimately the product will separate each time. Quick rule: oil and water do not mix without the use of an emulsifier or solubilizer. 7. Check: is beeswax being used as an emulsifier? Problem: an emulsifier is used to mix oils and water together to create emulsions (creams and lotions are classic examples of emulsions). There is a big misconception that beeswax is an emulsifier. It is not. You will find TONS of recipes for creams and lotions that will list beeswax as an emulsifier. These recipes will ultimately fail and the ingredients will separate, leaving you with a yucky mess. Beeswax is oil soluble and used as an occlusive and to thicken products (such as lip balms). Why do people think beeswax is an emulsifier? In certain products, for example traditional ‘cold creams’, beeswax is used to help to hold water and oil together. But it only functions as physically stabilizing the emulsion, not actually chemically emulsifying the oil and water. This means that if the product is exposed to non-optimal storage conditions (like elevated temperature), it will likely fail and separate. 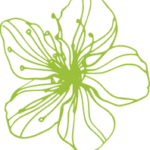 Discover three natural, reliable emulsifiers here: Quick guide to natural and organic emulsifiers for cosmetics. These are proper emulsifiers that emulsify on a physical and chemical level and will create long-lasting, stable emulsions. Quick rule: beeswax is not a reliable emulsifier. 8. Check: is purified water being used? The problem: tap water, whether boiled first or not, should be avoided in cosmetics. Deionized or distilled water is much purer and will help to increase the shelf life of your products. Quick rule: use deionized or distilled water. 9. Check: is the recipe claiming to be a sunscreen? The problem: be very very wary of recipes claiming to be sunscreens. Products sold as sunscreens undergo rigorous testing to ensure that they adequately protect the skin from UVA and UVB and the level of protection they offer. Yes, some natural ingredients may offer UV screening qualities, BUT they are highly unlikely to offer sufficient protection. Quick rule: unless a product has undergone testing, it should not claim to be a sunscreen. Read more here DIY sunscreen: why you should NOT make your own sunscreen. 10. Check: are you using Good Manufacturing Practice (GMP)? GMP ensures consistency in production and minimizes risks such as the contamination of products during their manufacture. Even if you only make products for yourself at home you should be aware of the basics. The basics include: clean working area, clean and sanitized equipment, good personal hygiene, protective clothing, clearly labeled raw materials, accurate measuring, following documented manufacturing processes and keeping accurate records. Quick rule: GMP is essential if you are selling products, and even if you only make at home for yourself then basic GMP practices should be followed. You can find FDA guidelines for GMP here. 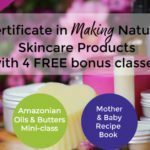 Our Diploma in Natural Skincare Formulation covers Good Manufacturing Practice, including lessons on how to effectively sanitize your equipment/ workspace, and record keeping templates to make your record keeping easy. Ultimately: has the relevant product testing been carried out? This is really important, especially if you are selling your products. If your products contain water then a microbiological test (also known as a preservative efficacy test or challenge test) will test the efficacy of your preservative system to check that your product is not going to grow bacteria. If you are making at home for yourself you can buy home testing kits from Aromantic (UK) or Lotioncrafter (USA), which will help you to determine how well your preservative is working. Ultimately though a test carried out in a lab will give you the most accurate results. You can read more about cosmetic product testing here: A guide to cosmetic product testing and safety assessments. If you are selling products you also need to make sure you comply with the relevant cosmetic regulations (this varies by country), which may require you to have other tests carried out such as a stability test and/or a cosmetic product safety report. 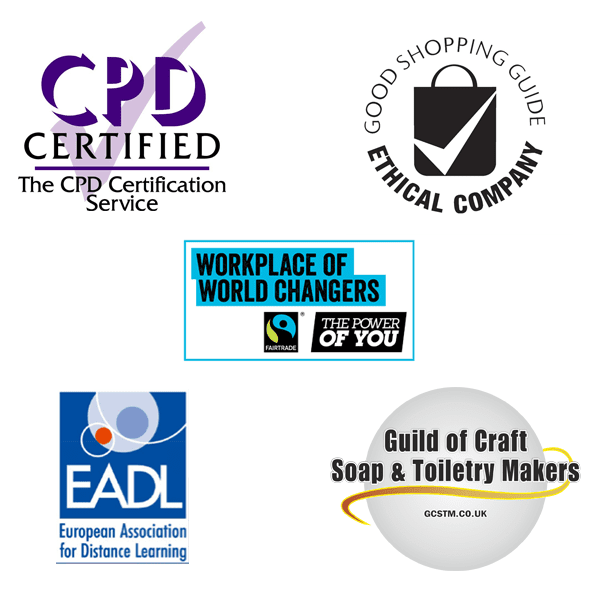 Our Diploma in Natural Skincare Formulation and Diploma in Natural Haircare Formulation both include a Module that covers all the business essentials including cosmetic regulations in the USA, Canada, Australia, New Zealand, UK, EU, South Africa, and India. If you are selling in the UK or EU, our Selling your skincare products in Europe and the UK eKit explains in much greater detail what you will need to do. Ultimately, professional product testing is the way to know your products are safe and stable. 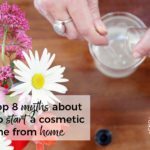 Please note: this checklist highlights some of the common issues found with skincare recipes posted online. It is not a substitute for professional product testing, which is what we recommend. We hope this checklist is useful!